Doan’t showt – ebriwun wul want wun! Conga tye annipuss an puddy_tat. 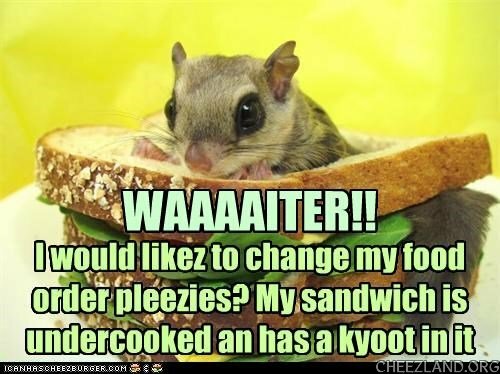 Aisle jus pass awn da species ov da dai samwich selection. Sowwee! Ai haz a sleepee an din’t notiss dat we had a tye! Yes, pleeze to bring mai gnu order…but ai am keeping dis cyoot!